Murder of a Needled Knitter by Denise Swanson features Scumble Skye Denison Boyd on her honeymoon cruise. Because my first New Year’s Day as a married woman was spent on a cruise ship solving the Murder of a Needled Knitter. But I plan to ring in 2007 by making Wally my mother’s family’s lucky cake. 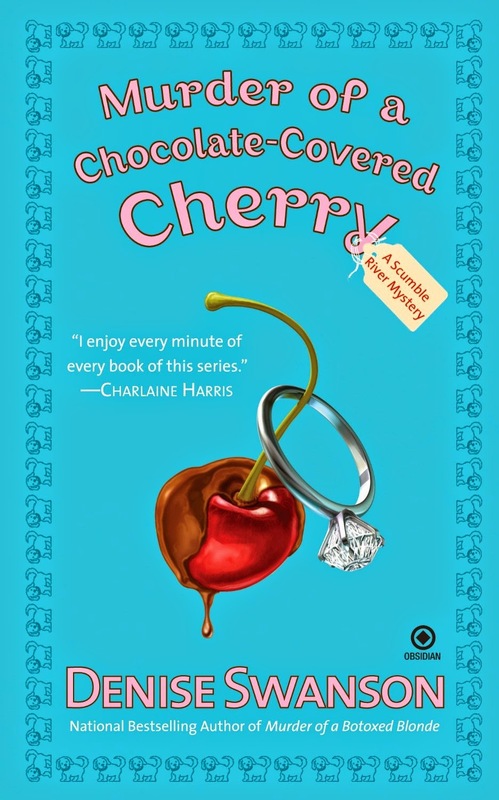 Even though I won a cooking contest, (Murder of a Chocolate Covered Cherry) Mom doesn’t think that I’m much of a baker, but she’s promised to show me the secret of Leofanti Lucky Almond Cake. Which makes me happy since it proves she has accepted my choice of groom. For a while there, she was really trying to get me to marry someone else, but now that Wally’s first marriage was annulled and he helped prove that she wasn’t a murderer, her feelings about him are much improved. Which is a good thing, because I’m crazy about my brand new hunky husband and if Mom hadn’t changed her mind, we might just have moved to Texas. Wally’s father would love to have him resign as the Scumble River Police Chief and take over the family oil business. In a large bowl, cream the butter, shortening and 1 cup sugar. Add egg yolks, one at a time, beating well after each addition. Stir in lemon juice, peel and extracts. Combine the baking powder, salt, baking soda and flour; add to the creamed mixture alternately with milk. In a small bowl, beat egg whites and cream of tartar until soft peaks form. Beat in the remaining sugar, 1 tablespoon at a time, until stiff. Fold into batter. 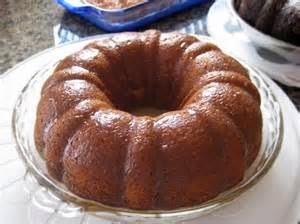 Combine almond and 1 tablespoon flour; sprinkle into the bottom of a well-greased bundt pan. Pour batter into prepared pan. Bake at 350° for 40-45 minutes or until a toothpick inserted near the center comes out clean. Cool for 10 minutes before removing from pan to a wire rack. Melt marmalade in a saucepan. Add orange juice; drizzle over warm cake. 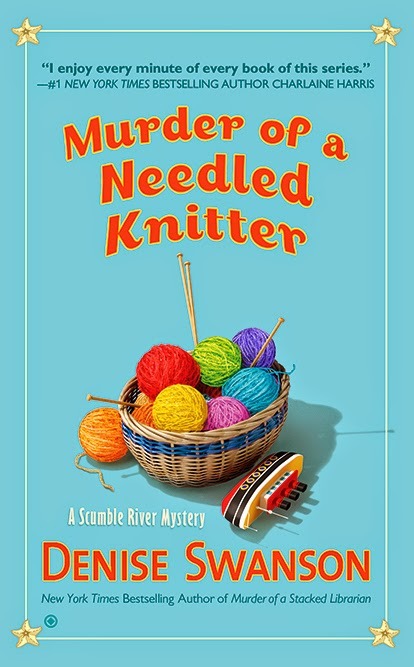 You can read more about Wally and Skye’s honeymoon, in Murder of a Needled Knitter, the 17th book in the Scumble River mystery series, published by Penguin. The first book in the series is Murder of a Small-Town Honey. Books are available at retail and online booksellers. About the author: A former school psychologist, New York Times bestselling author Denise Swanson spent twenty-two years working in the public school system. She realized her experiences were actually excellent research for mysteries. Denise also writes the Devereaux’s Dime Store series, the fourth book, Dying for a Cupcake, is due out in March. Hurrah, a new Scumble River mystery! I have greatly enjoyed this series and the adventures of Skye and Wally. Two cake recipes in two days on this blog! What could be better in this cold January weather? Thanks Dianne, Willow, and Elaine!